Whiskey's has arrived home from Manly rd hospital after two and a half months of surgery and chemo to save his life from a nasty carcinoma. Sadly, while Whiskey was having treatment for one advanced aggressive carcinoma the specialist found two very small new ones developing in the bottom part of his eye. Whiskey's surgery was successful however he wasn't able to undergo more surgery at this time due to needing a break to heal so he was sent home for 4 weeks. He is due to go back on the 18th of May which is the same day Marley is due for his check-up. 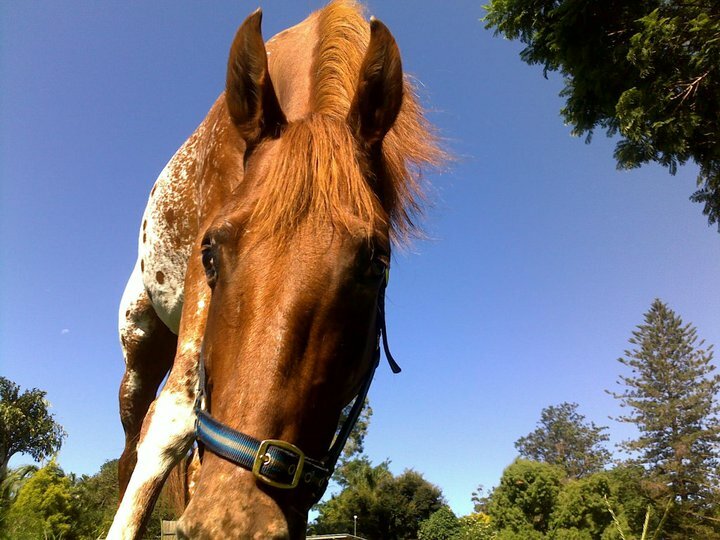 When Whiskey arrived home he galloped around the paddock with his old friends and is enjoying life and loving being at home. He is an amazing horse and deserves every chance at a long, happy life. Massive thanks to Pauline the wonderful eye specialist and massive thanks to the wonderful Manly Rd Horse Hospital for all of there help with Whiskey, Chicky and Marley.